Barely BlindBeaumont Texas own four-piece that spans through sound waves of pop rock with indie feels that illuminate classic and timeless inspirations. This now Los Angeles based collaboration is heading towards the sun, breaking through every boundary of the music scene. 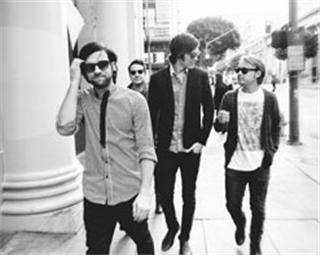 Their new album Wilder Child of a Thousand Suns captures the essence of well-known music creators, such as Phantom Planet and Mona. With vocals ranging from the likes of Jason Schwartzmans Coconut Records and Beach Boys inspired, The Explorers Club, Barely Blind takes on a new form of rock and roll, and presents its listeners with easy going verses and epic choruses intertwined by their full on bridges that echo inspiration. Now following two praised EPs, The Way We Operate and My Life With a Giant, Barely Blind has managed to form a fan base that is ever growingnot to mention, their new album is entirely free for grabs on their website! With a tour schedule based on a "do-it-yourself" feel, Barely Blind has left their mark in every city they have traveled. The progression of this band has captured a strong sense of honesty and raw emotion. Through their lyrics and song writing, it can be understood that the members of Barely Blind have something more than just "rocking" on their agenda. With themes that illuminate the ideas of being young and the boredoms of chasing girls, you will find yourself in rapture by their design. Their music videos follow narratives of each band member, and create universal feelings that will immediately connect you to the lyrics and melodies. 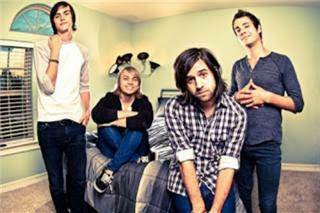 Their previous video for "Cant Expect" showed a playfulness that was undeniable, not to mention that the entire video was filmed using just an IPhone. However, HIP Video Promo is eager to introduce their new video for "Inner Child," which takes on this same attribute, but takes your mind to another level of your own childlike experiences. "Inner Child" is a song about the remembrance of childhood. The video serves the purpose of shedding light on the importance of that certain freedom that we all once had when we were young. The members are all dressed nicely and "grown-up" like, but this shouldnt fool you. The delicate wallpaper in the background and the stark, white lights of the scene in which we see the band performing their new single merely stand as symbols for growing old. However, "Inner Child" is about awakening who we all once were. The playfulness of the band can be seen at the end of the video, where their older selves are enveloped in a swimming pool and their "grown-up" attire is being shed, so their inner, childlike selves of the past can present themselves to the world.